Inspiring confidence every day. 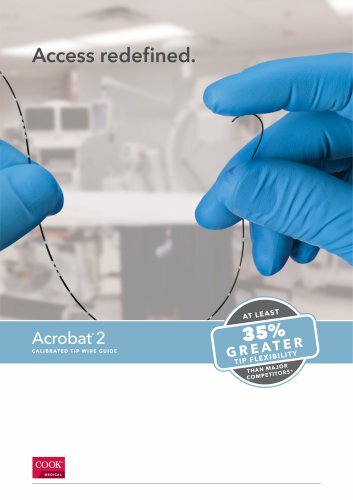 Everything about the Acrobat 2 is designed to deliver confident performance. From its flexible, platinum spring-coil tip and enhanced pushability to its 1:1 torqueability and innovative Mark V System, it all adds up to a wire guide that can give you confidence during all your ERCP procedures.